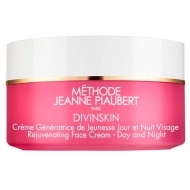 DESCRIPTION: Divinskin Crème Défatigante Génératrice de Jeunesse Contour des Yeux from Jeanne Piaubert is the first overall treatment against the first signs of aging around the eye contour. 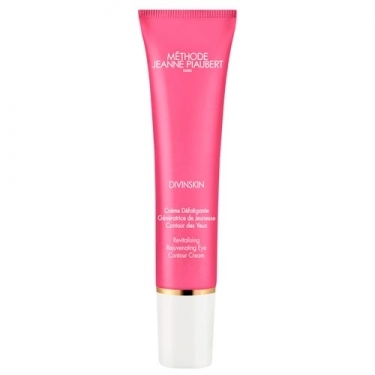 The comfortable and refreshing cream provides optimal hydration and reduces the appearance of fine lines and wrinkles, shadows and swelling and loss of elasticity. Its specific ingredient Eye +, of natural origin, combats the accumulation of toxins responsible for visible signs of tiredness and damages to the tissues, revitalizing the brightness of the eyes. Apply morning and / or evening around the eye area.